If you ask my mom how I was as a child, she will use the following word: stubborn. She did everything she can do to try to “tame” or “control” me using fear, discipline, threat, bribery, lecture–anything she can think of, but claims until this day that it was impossible. Then I grew up, became a mom, had two children and everything changed. Somewhere along the way, I learned that there is one person not worth fighting because I’ll always lose. And that person is God. A series of significant, life-altering events led to this realization, including a near death car accident in college and becoming a mom of a special needs child just to name a few. By age 30, I had learned that there are many things in life that cannot be controlled, and that the best we can do is accept the outcome and have faith that God knows best. So when I fell and suffered a concussion last November, I took it as another wake up call to let go and let God. My worrying, controlling temperament was creeping back into my lifestyle and I was losing focus on more important things in life…again. So for two weeks, I followed the Doctor’s orders and spent most of my time resting. No writing, no work, no heavy cleaning or cooking, just silencing my busy mind and taking it easy. It was a much needed break from my life as a mom and wife, and only then did I realize I haven’t rested like that in nearly 10 years. And this time I meant it wholeheartedly. Luckily the girls’ winter break came up shortly after and I flew to Seattle to my parents’ house for Thanksgiving holiday. A much needed rest & relaxation continued, this time accompanied by cold weather, mom’s home cooking and beautiful cosmopolitan vibe that’s unique to Downtown Seattle. Life was starting to take shape again and I was thankful for my family who took care of me at times like this. After a few days I woke up with the same “weird” feeling of fatigue, that feeling you get right before you come down with a flu. So I did what any reasonable woman would do. The chance of being pregnant was very slim considering my age and the fact that we haven’t been actively trying. After all, the chance of conceiving during the first month with active planning and ovulation testing at my age is less than 5% according to science. It can’t be that easy…right? God proved to be stronger than science again…..and one pregnancy test taken days before a missed period came out positive. Yes, just like that, God planted another child in my life. Here I must add that I spent the past 8-9 years actively preventing a pregnancy. Mothering two children, one with special needs, was not always easy and I felt I had reached my maternal limit with two. I had already suffered postpartum depression after the birth of my second daughter and the first 3-4 years of their lives are a blur. I was finally getting my groove back and loving and enjoying motherhood again. How can I start ALL over, from the first day back home from the hospital? About a year ago, I really wrestled with the idea of having a third child, which you can read about here. 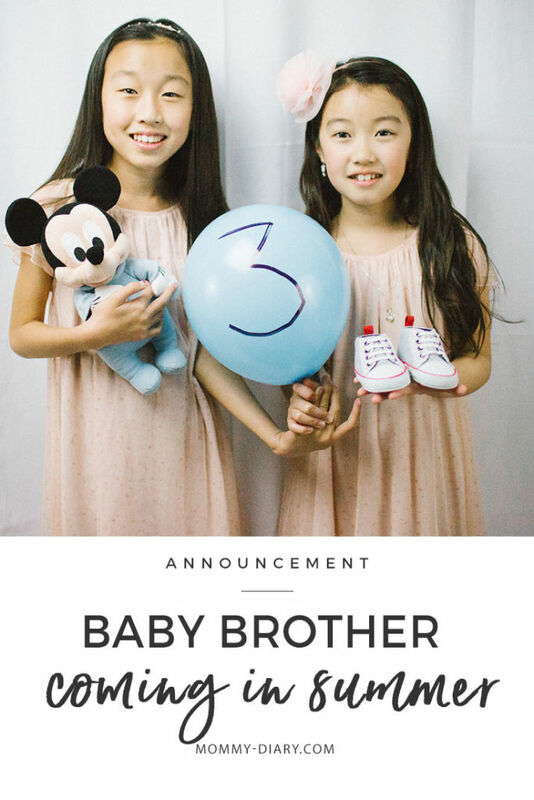 So dear family, friends, anonymous readers— I’m happy to announce that I’m pregnant with my third child. 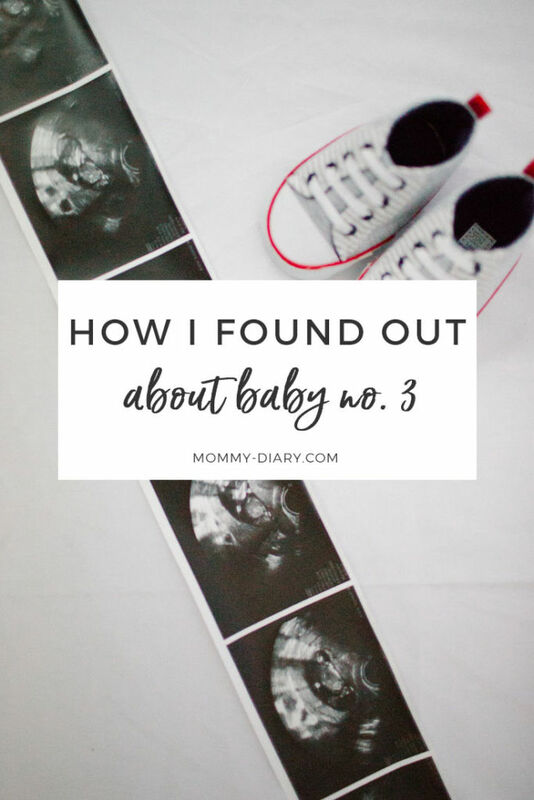 It looks like Mommy Diary will take another turn, this time with pregnancy and postpartum stories of my third baby. This baby was not in my plan but in God’s, and that’s what makes this pregnancy more joyous than ever. I can’t wait to see what kind of precious life God has planned for me this time. I still can’t believe I’m going to be a mom of three. God is seriously a miracle worker!